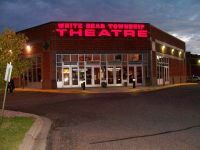 formerly the White Bear Township Theatre (Muller Family Theatres). Became the Emagine White Bear in 2016. This movie theater is near White Bear Lk, Vadnais Heights, Dellwood, White Bear Tp, Saint Paul, White Bear Township, Vadnais Hts, White Bear Lake, North Oaks, Little Canada, Roseville.